Our founder, benefactor and friend, the Honourable Vincent Weir died in 2014 at the age of 79. Vincent Weir’s devotion to the conservation of wildlife in Britain and Ireland, his determination to do something about it, and his generosity in deploying his personal resources to make a difference, places him in the pantheon of British nature conservationists. Vincent was a businessman, a highly accomplished naturalist and a philanthropist. In combining these three elements, he became one of Britain’s most remarkable conservationists. Vincent was a shy man and everything he did was without fuss or fanfare. Few people will know that he established some of our most successful national wildlife charities, privately funded major conservation projects across Britain and Ireland over a period of more than forty years, and inspired a generation of young scientists who received support from Vincent for their academic studies. It was whilst a schoolboy in Malvern that a painting by Sir Peter Scott ignited a spark somewhere in the young man. The painting, in a shop window, was of a flock of mallards flying over a marsh, and Vincent, knowing little about ornithology at the time, was hooked. It was the start of a voyage that established Vincent as one of the great pioneers in British conservation. He went on to work closely with Sir Peter Scott, becoming a Council member of Scott’s Wildfowl and Wetlands Trust, and he never forgot that painting – retaining a lifelong love of wildlife art. One animal that is truly indebted to Vincent, though of course it does not know it, is the otter – the first creature to become of real concern to Vincent as it came perilously close to extinction. For more than ten years from 1969, and over many thousands of hours, Vincent meticulously studied the slow and (at that time) mysterious decline of the otters in Norfolk and Suffolk. 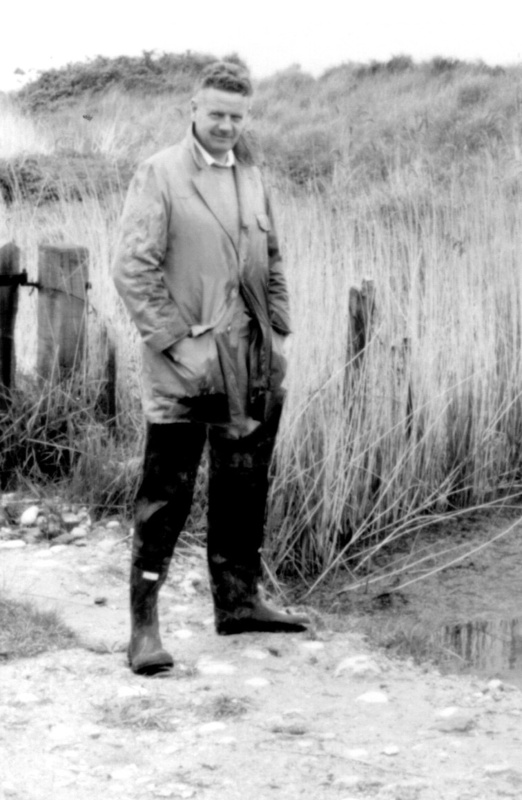 In 1975, Vincent Weir founded The Vincent Wildlife Trust. 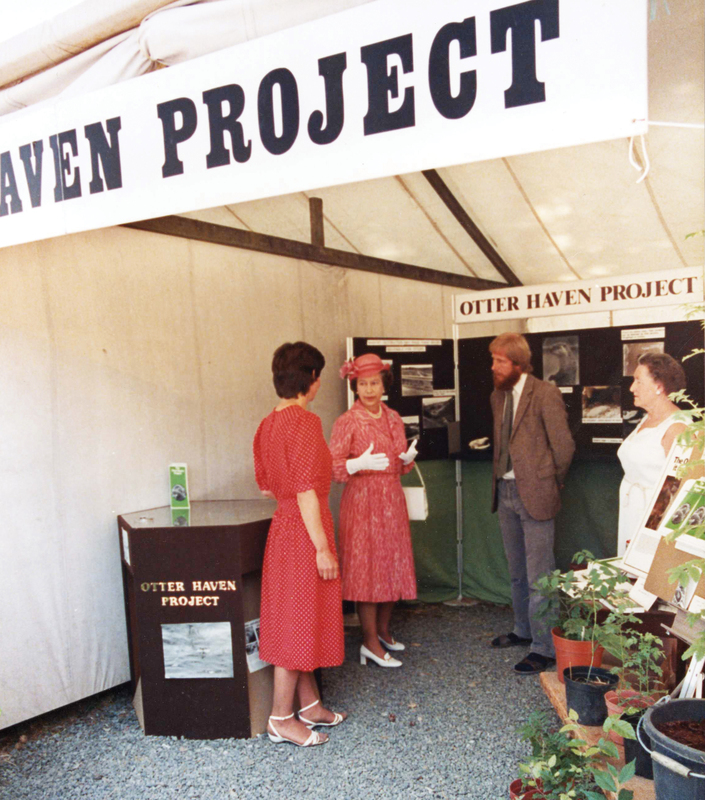 His initial idea was to research the decline of the otter, and the Trust’s Otter Haven Project helped protect river habitats essential to the survival of fragile otter populations. Injured and orphaned otters were rehabilitated and detailed research was carried out, including extensive radio-tracking studies and pollutant analysis. Vincent was also instrumental in the mass distribution of free eel fyke net guards, designed to prevent otters from accidental drowning in the nets. He also oversaw a series of national otter surveys from the late 1970s to the mid-1990s: a colossal (and expensive) undertaking. In 1988, he published his book The Otter detailing the otter’s ecology and the research he had carried out across East Anglia. At the time of his death in 2014, nearly 50 years after he became so concerned with our best-loved river mammal, the otter is found again in every English county and populations are almost fully recovered. The otter has recovered so well because we came to understand what was causing extinction (largely pollutants affecting their food supply, exacerbated by habitat loss and other man-made mortality) and then, having understood it, we did something about it. Not just the VWT, but many conservation organisations, Government organisations and individuals. We were able to do this work, and the otter survives today to bring joy to so many people, largely thanks to the vision and determination of Vincent. 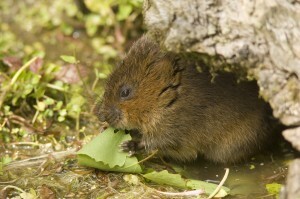 The water vole is another river mammal that owes much to the work of Vincent Weir. Despite remaining a very common species into the 1980s – the ‘water rat’ of the Wind in the Willows – the decline in water vole sightings in the rivers he knew so well across Norfolk and Suffolk, and the growing anecdotal evidence of their apparent disappearance from many of Britain’s other waterways, had Vincent concerned that all was not well. In 1989, Vincent funded the first ever National Water Vole Survey and the results were worrying. A second survey in 1996 recorded further dramatic falls in water vole numbers – a total of over 90% in some areas. The national surveys – which were a huge undertaking – confirmed that what we were experiencing in Britain was not just a decline but a crash in water vole populations. Armed with this evidence of the plight of the water vole, which was and is driven by both habitat loss and the predatory effects of the American mink, conservationists launched major initiatives to help protect the water vole, which continue to this day with habitat improvement and re-introduction schemes. In the early 1980s, Vincent also became concerned about the plight of Britain’s bats and started a number of VWT research projects aimed at identifying the needs of rare bat species. This included the first ever radio-tracking study of lesser horseshoe bats. It became clear that the widespread loss of roosting and breeding sites across the south and west of Britain was driving the dramatic decline in the horseshoe bats. 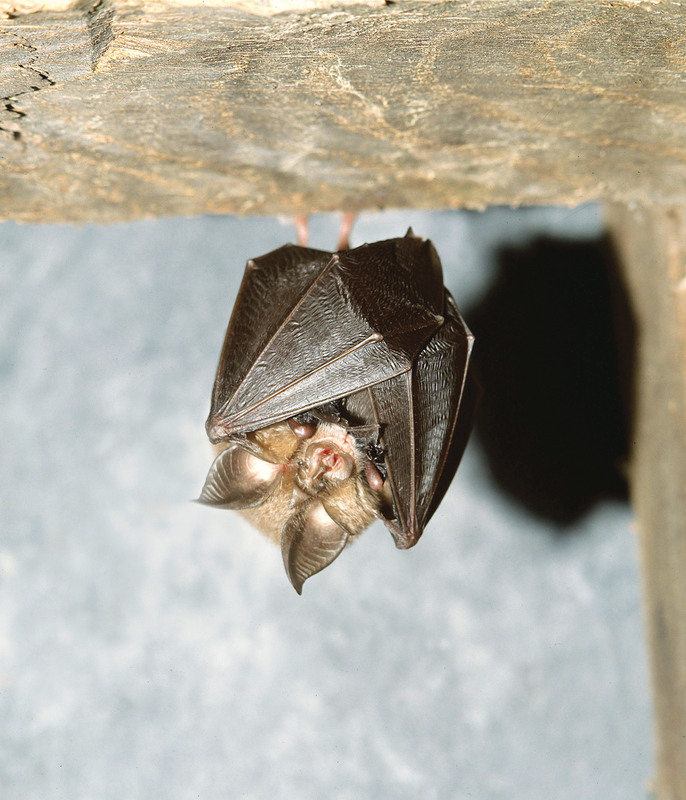 So from the 1980s through to the 2000s, again at great personal expense, Vincent purchased a number of important breeding and hibernation sites for rare bats, including a farm building in Devon that is now home to the largest maternity colony of greater horseshoe bats in western Europe. The VWT now manages over 40 bat roosts in both Britain and Ireland, and will continue to do so in perpetuity, thanks to the generosity of Vincent’s endowments which were, with characteristic vision and attention to detail, secured long before his death. Today, the wildlife trust Vincent founded 40 years ago is one of Britain’s leading mammal conservation charities and a pioneer in the field of conservation-led research. Its team of staff will continue to work across Britain and Ireland to maintain the vision of the Trust’s founder. The Trust’s focus on rare bats remains, but current research also includes studies on some of the more elusive members of the weasel family that intrigued Vincent so much, notably the pine marten and polecat. Vincent’s passion and generosity was not confined to mammals or the VWT and there are a number of other important wildlife charities that also owe much to Vincent. Vincent was a patron of The Amphibian and Reptile Conservation Trust, a charity he founded as the Herpetological Conservation Trust in 1989 and launched at the First World Congress of Herpetology in Canterbury. Vincent also became a major funder of Plantlife following its inception in 1989, and remained one of the charity’s Vice-presidents. He was also a major supporter and a Vice-president of Butterfly Conservation. In an admirable demonstration of cross-organisational work, Vincent was also a strong supporter of The Bat Conservation Trust, a charity dear to his heart, and many students have gained support through the Vincent Weir Scientific Award, established by the trust as a tribute to Vincent’s bat conservation work. Vincent placed great value on supporting the next generation of conservationists and many Master’s, PhD and postdoctoral students were generously supported. Much important research has been achieved as a result of Vincent’s support, and today many of these students are leading the way in conservation, a legacy of the action of a very special individual who saw the potential in these young people and gave them a chance to begin their own voyage. But it was not only research students who received Vincent’s support, many individuals, small conservation groups and charities received grants to help fund local conservation projects. Vincent was a visionary man with resources, and few people have done more to conserve British wildlife than this remarkable individual – a man who quietly got on with it, using his own funds and networks, and who never asked for thanks or courted publicity. Vincent always remained out of the limelight no matter how significant the project or how crucial his involvement. Finally, all those who knew him, and who will now miss him deeply, will attest that Vincent was a true gentleman, a generous, honourable and noble man of great compassion and kindness – someone who truly did bring species back from the brink.